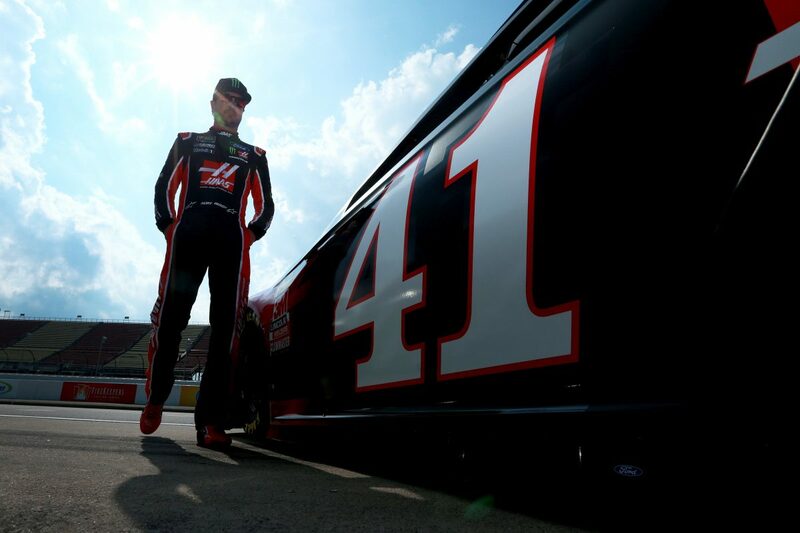 ● Kurt Busch started 12th and finished fourth, collecting seven bonus points. ● The Haas Automation driver said the car was better on the top part of the track. He pitted on lap 27 for two tires and fuel. ● Was in the top-five for much of the stage. ● Started seventh and finished fourth, collecting seven additional bonus points. ● Busch pitted for four tires, fuel and a wedge adjustment on lap 63. ● While in fifth place, Busch pitted for two tires and fuel on lap 76. ● Started seventh and finished sixth. ● Busch pitted on lap 123 for four tires and fuel. ● On lap 172, while in sixth, Busch pitted for just right-side tires, fuel and a wedge adjustment. ● Busch finished sixth and ran in the top-10 for most of the 200 laps. ● This was Busch’s 14th top-10 of 2018 and his 13th top-10 in 36 career Monster Energy NASCAR Cup Series starts at Michigan. ● Busch finished fourth in Stage 1 to earn seven bonus points and fourth in Stage 2 to earn an additional seven bonus points. ● There were eight caution periods for a total of 37 laps. ● Twenty-one of the 40 drivers in the Consumers Energy 400 finished on the lead lap. ● Kevin Harvick won the Consumer Energy 400 to score his 44th career Monster Energy NASCAR Cup Series win which ties him with Bill Elliott for 17th on the all-time NASCAR Cup Series win list. ● Harvick’s margin of victory over second-place Brad Keselowski was 3.233 seconds. The next event on the Monster Energy NASCAR Cup Series schedule is the Bass Pro Shops NRA Night Race on Saturday, Aug. 18 at Bristol (Tenn.) Motor Speedway. The race starts at 7:30 p.m. EDT with live coverage provided by NBCSN beginning at 6 p.m.